Rarely do I get my hands on a product as ambitious as the Audeze Mobius headphones. 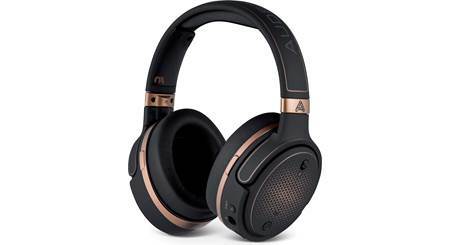 They offer an immersive sonic experience that's unique from any other headphones. Audeze designed these innovative over-ears with gamers in mind, but I enjoyed using them for movies and music, too. So much so that I wrote an in-depth article — complete with impressions from some our in-house video game experts. 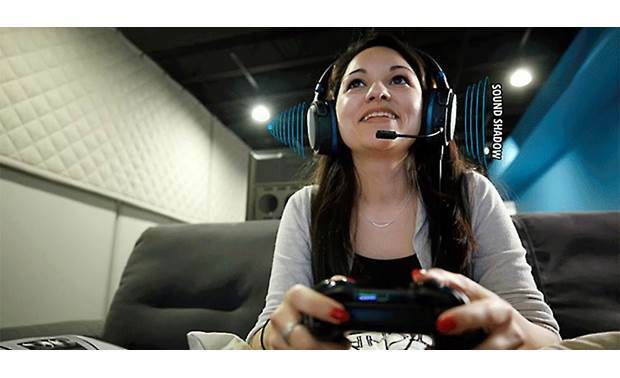 Jenny, Crutchfield IT specialist, enjoys the Mobius headphones in our gaming lounge here at HQ. 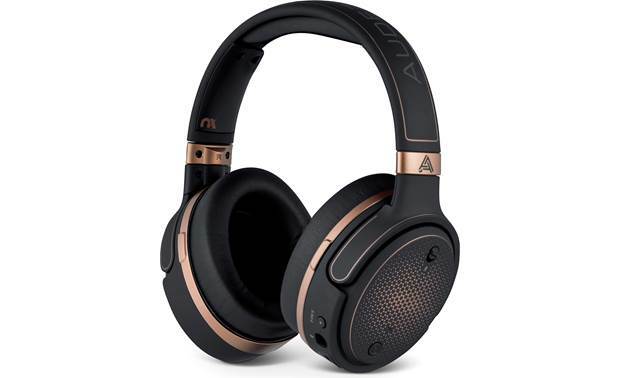 The Mobius headphones are Audeze's first planar magnetic headphones that will play music wirelessly via Bluetooth — which is special enough. But they also feature a head-tracking technology originally developed by Waves Audio for recording engineers. Inside the headphones, there's an eight-core Processor driving a six-way gyroscope and accelerometer. What does all that mean? The Mobius tracks the position of your head up to 1,000 times per second. As you nod or turn your head, the sound field stays fixed and centered. Mobius also has built-in surround sound processing. Engage the 3D Audio feature by pressing a button on the left earcup. You get the audio equivalent of a Virtual Reality visual experience. You feel like you are in the scene unfolding on your screen or monitor. 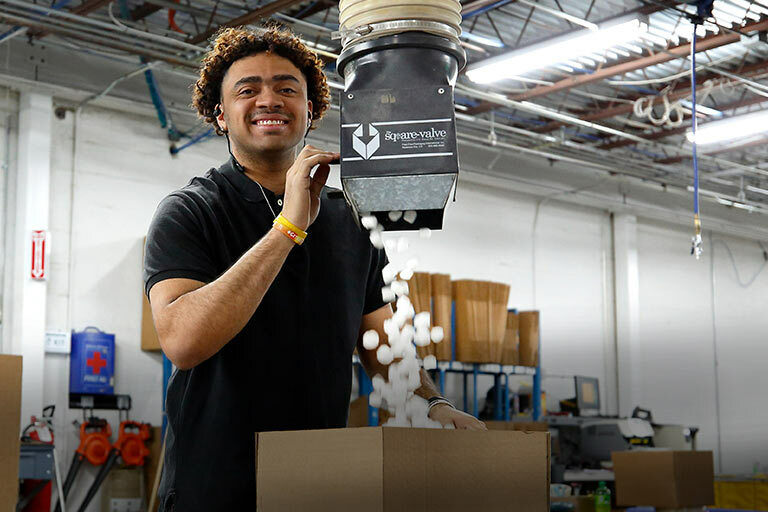 Rex, Crutchfield Sales team leader: "The planar magnetic drivers have an even, controlled sound. 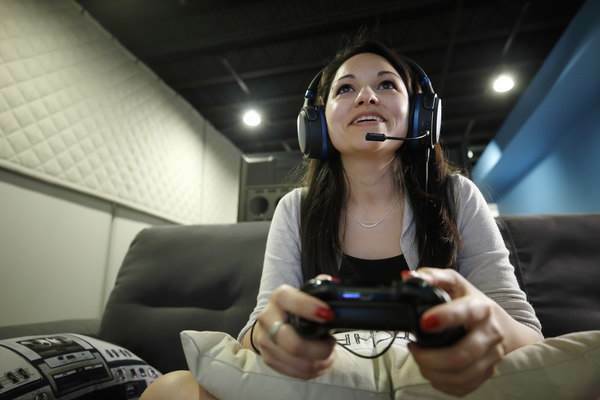 That's a huge advantage for gaming — I never got listening fatigue." Francis, Crutchfield Advisor: "Compared to my normal gaming headset, these sounded much more alive — extremely lifelike and detailed. I was also surprised with the quality of the [included, detachable] microphone. Most extension boom mics are pretty worthless. This one sounded really clear." Jenny, Crutchfield IT specialist: "I've always been impressed by the soundscape of Destiny 2. There are all of these little nuances and subtleties that drop you into the world. Through the Mobius headphones, the sound was as enchanting as the graphics and the gameplay. I felt like I was in the middle of the game. Especially when an explosion or surprise attack would come from one direction or another, and bring on that ping of panic in my chest." Even when you turn off the 3D audio processing, these headphones deliver clear, detailed sound that rewards repeat listening. 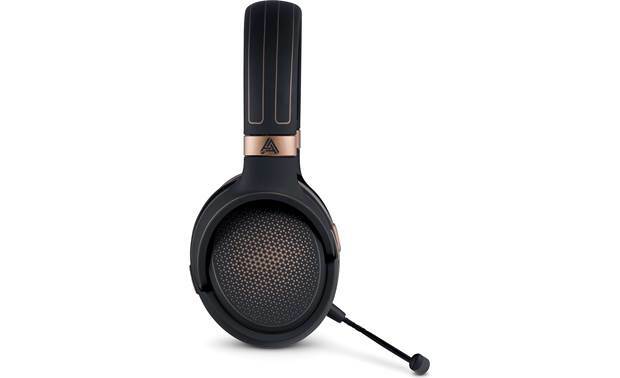 It was no surprise to me, because Audeze planar magnetic drivers are a favorite among serious headphone enthusiasts. The driver technology relies on a super-thin diaphragm moving quickly back and forth within a magnetic field. Audeze figured out that they could greatly increase their efficiency by laying out their magnet array in an asymmetrical pattern. In other words: fewer magnets, yet stronger magnetic attraction. 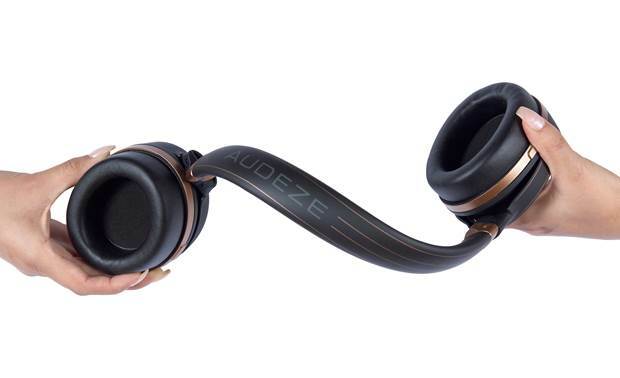 The Audeze Mobius sports a tough, flexible headband that I could twist around. This magnet array results in not only better sound, but also a relatively lightweight design (compared to some of Audeze's extra-large over-ears). I had no problem wearing them for hour-long episodes of HBO's Hard Knocks. The weight was distributed evenly on my head and the earpads were generously padded. Since the Mobius 'phones were designed for gaming, Audeze made them really durable. I can't condone throwing the headphones down in frustration — but they probably have a better chance of surviving than your controller! They sport rubberized earcups, a strong frame, and a heavy-duty headband that I could actually twist. Earcup controls include the dedicated 3D audio button, and two separate volume wheels for the headphones and mic. Those wheels also let you scroll through a number of sound settings like "Music," "RPG," "Racing," and "Footsteps." It took me a little while to master the controls — but it's probably nothing to someone who's memorized all the button combos for Fortnite. For music, I used the "default" setting because it is EQ'd to match Audeze's "house curve." That's the sound signature they aim for when tuning their audiophile-grade headphones. Audeze gives you a number of connection alternatives to Bluetooth. They include a choice of digital audio (USB and USB-C) and analog audio (3.5mm stereo) cables. Note that you'll use battery life whether listening wired or wirelessly — the headphones have a built-in amplifier that can't be bypassed. You get about 10 hours of listening on a full charge. You can also charge the headphones while you listen when connected via the included USB cable. Yes, though you will only get 2-Channel audio. With the PS4 you can connect via analog to the controller or USB to the console. 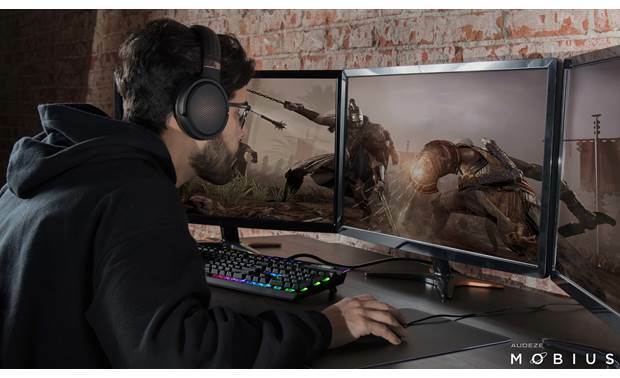 Surround sound is only available when using it connected to a PC. Earcup Width x Height 3.373" x 4"
Overview: The Audeze Mobius over-ear wireless headphones are designed to give you an immersive, 3D gaming experience. 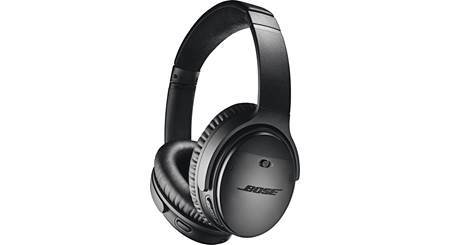 They are also excellent for listening to music or movies on your portable devices. 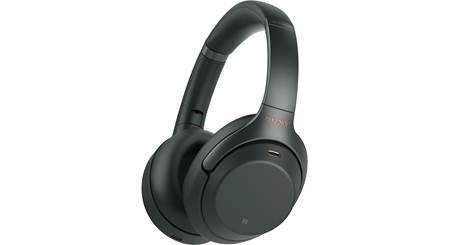 You can use the headphones with a wired (via USB or Aux) or wireless (via Bluetooth) connection. 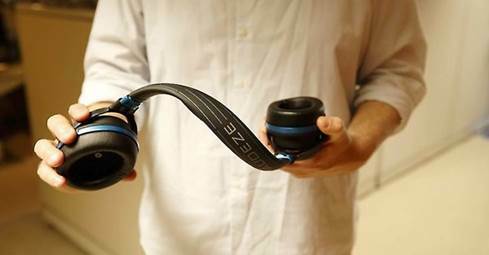 The Mobius headphones uses planar magnetic transducers like Audeze's audiophile-grade LCD-series headphones. The replaceable memory foam ear pads and headband make the headphones extremely comfortable for hours of use. The headphones come with a detachable microphone, 2 USB cables, an Aux cable, and a cloth storage pouch. 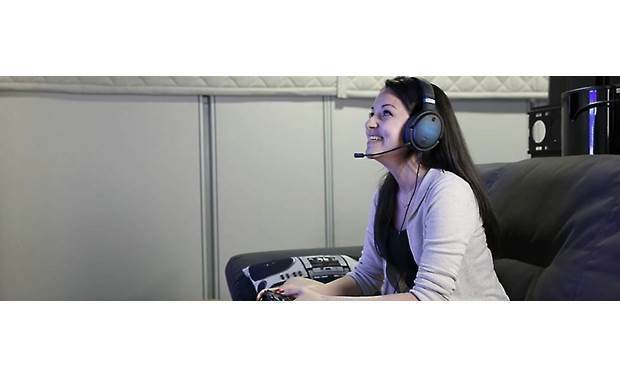 Bluetooth: The Mobius headphones feature Bluetooth wireless technology to give you an extra measure of freedom that most gaming headphones don't offer. 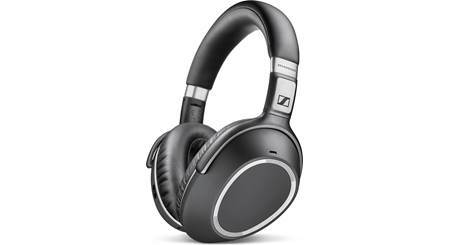 The headphones support three types of Bluetooth codecs, including SBC, AAC (for connecting to iDevices, and LDAC (for connecting to newer Android devices). Integrated Head Tracking: The headphones precisely track the movement of your head over 1000 times a second to feed the 3D emulation algorithm. Sound Localization: During play, Mobius identifies the location and source of sounds in the gaming soundtrack, and changes the location dynamically as your head moves and your position changes. Room Emulation: The 3D technology provides a sense of space and reflection of the sound within a room. You can customize this room emulation tool using the downloadable Audeze HQ software application. Controls: The on-board controls are located on the left ear cup. On the outside of the ear cup are the Power and Mic Mute buttons. The Power button is also used for pairing the headphones to your Bluetooth device. On the bottom of the ear cup are separate rotary volume controls for the headphones and the microphone, so you can balance your voice commands with the rest of the soundtrack. Both rotary controls have a push-click action for additional functions, including music playback, changing audio mode, and changing EQ presets. The 3D button lets you cycle through the available 3D modes. Connections: The Audeze Mobius connections are all on the left ear cup. A recessed 3.5mm input is provided for the included microphone. The input's collar is shaped to match the mic's plug, so that the microphone is properly aligned with your mouth. There is also a 3.5mm output for the included Auxiliary audio cable. The USB Type C port has multiple functions: charging the battery and USB audio. The headphones include a USB-C to USB-A cable, and a USB-C to USB-C cable. If multiple connections are active, Mobius gives the Aux cable the highest priority, followed by USB, and then Bluetooth. You can also select the source using the 3D button. 3D Manual: In 3D Manual mode, you can specify the direction of the central reference point. Once you have centered your head in the optimal listening position, press the 3D button to confirm the center position. From then on, the 3D sound space revolves around this center point. 3D Automatic: In 3D Automatic (typically for mobile use), the centering button is disabled, and the Waves Nx algorithm automatically calibrates the center of your audio as you move. This is the default mode with Bluetooth connections. 3D Off: If you don't wish to use the 3D mode, you can turn the 3D processing off. This mode should be selected when listening to music. Audeze HQ 3D Application: You can unlock the potential of your Mobius headphones with the Audeze HQ application, a specialized control portal app for Windows and Mac). With the app, you can customize your sound experience with HRTF (head-related transfer function) customization and sound profile selection. HRTF lets you customize the application, using your head circumference, inter-aural arc (distance from one ear canal to the other, measured around the back of your head), and room ambiance (adjustable from 0 to 100 for reverberant sound). You can also choose from the following sound profiles: Flat, Default, Footsteps, Ballistics, Music, Racing, and RPG. 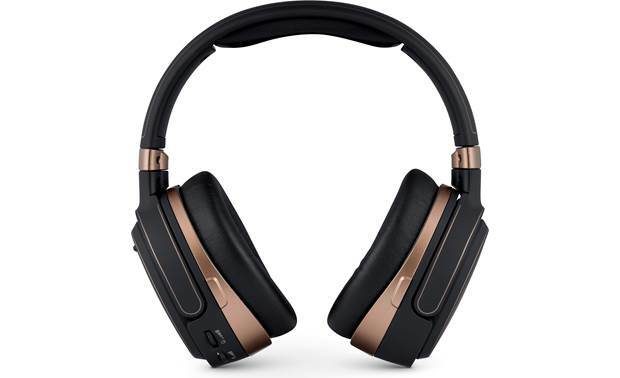 Planar Magnetic Technology: The Mobius 3D headphones are equipped with 100mm (4") diameter drivers with ultra-thin Uniforce diaphragms to deliver an amazingly fast response with near zero distortion, higher resolution, and lifelike imaging. The headphones are ultra efficient, with a maximum SPL of over 120dB. Ear Cup Dimensions: Width 3.373" Height 4" Depth 2.416"
Yes you can use the usb or just the aux cable into the controller.if you use the usb you'll need to switch it to the 2 channel audio by holding in the the mic wheel. Searches related to the Audeze Mobius Wireless Bluetooth® headphones with advanced 3D sound processing.